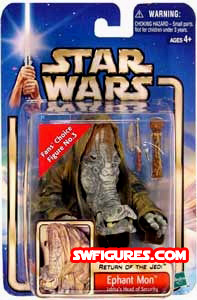 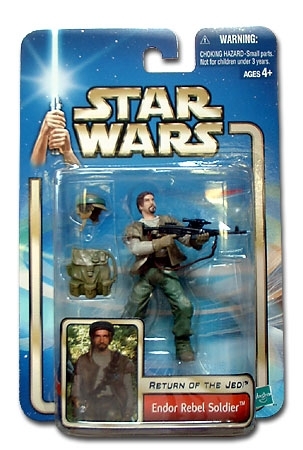 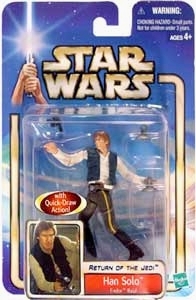 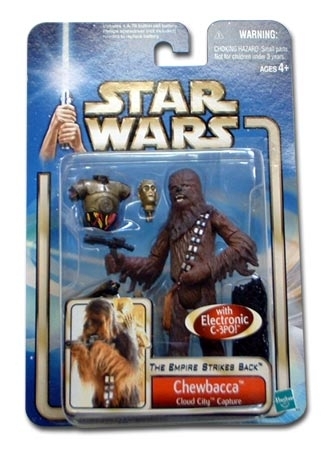 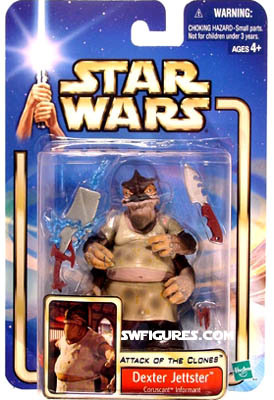 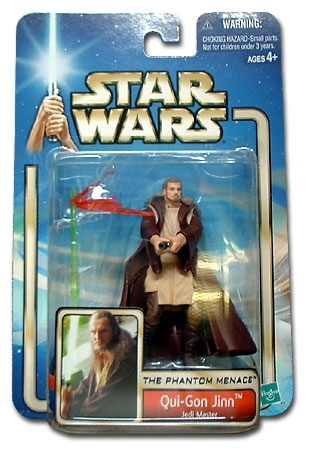 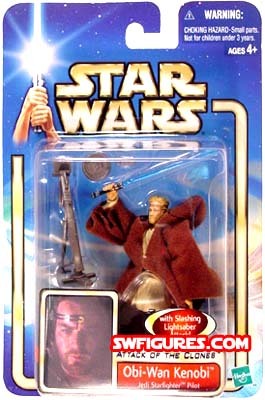 These are first released of Attack of the Clones (AOTC) Action Figures that began in 2002. 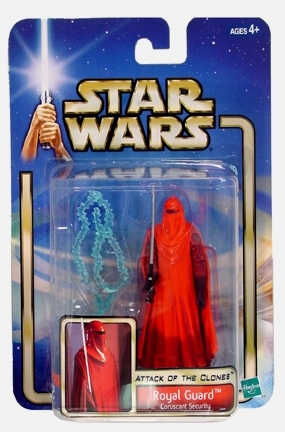 They are also known as "Blue Cards" for their predominately blue packaging. 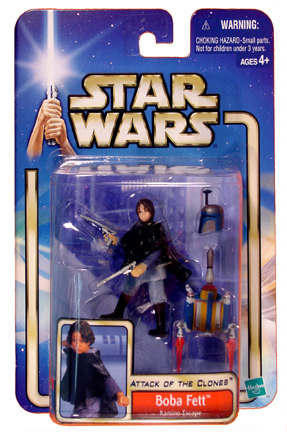 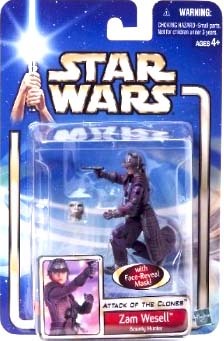 This was the first time blue was used in a Star Wars figure series. 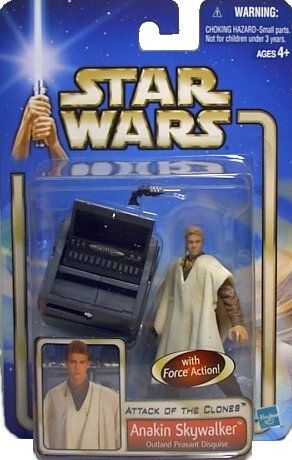 The next AOTC card series have a gold stripe on the left side of the card, and were dubbed, "Gold Cards." 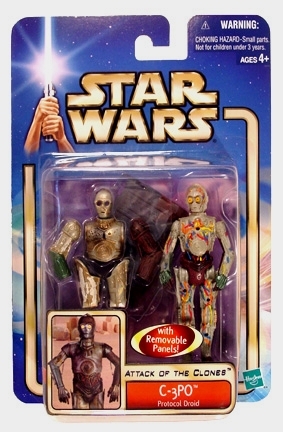 Figure w/ removable body panels! 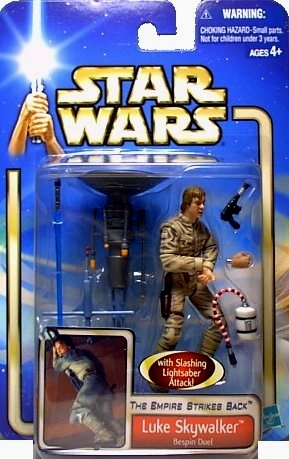 Largest and heaviest carded Star Wars action figure ever made!